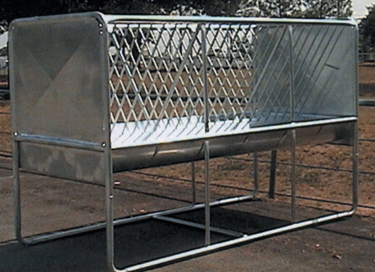 • These hay racks are made of galvanized tubing. • The feeder at left, is designed to fit in the corner of a stall and it also bolts directly to the wall. 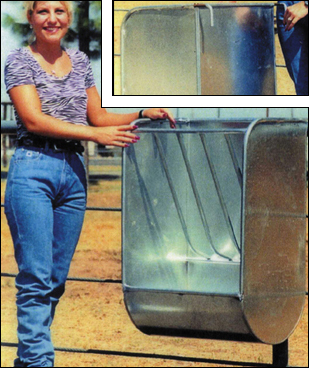 • The galvanized feeder to the right, is designed to bolt directly to a flat wall. • Hangs over fence or stall wall. • Flat backed wall feeders. or bolted directly to the wall. 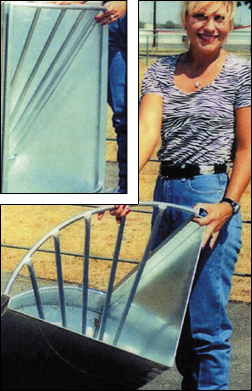 • Made of galvanized metal for long lasting durability. • Rounded edges and large enough for generous portions of feed. 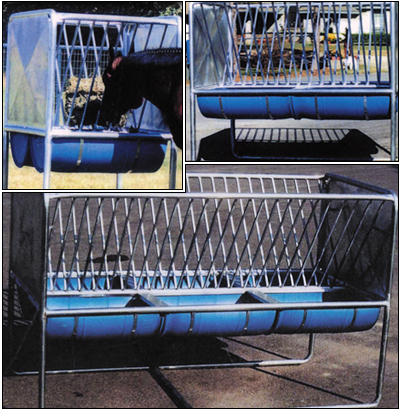 • Also available - large, 3 foot heavy duty wall feeder for mare/colt. and can be bolted directly to the wall. swing-out feeder for stall front. • Made of durable galvanized metal. 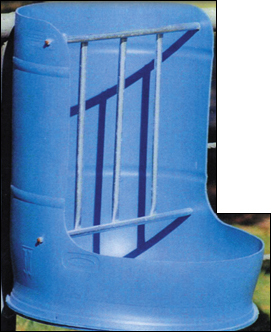 • Feeder comes in three sizes and roofs are available for all sizes. • Wide stance for stability and rounded edges for safety. • Wide stance for stability. Order Directly from Neubauer Manufacturing. Call us at 940-390-5959 for assistance in finding shipping options. • A great new addition to our feeder lineup is the big bale feeder. that weigh up to 2000 pounds. • Feeder made of galvanized metal. • Heavily reinforced to withstand great weight and stress. • Approx. 9’ long, 51” wide and 5’ tall.